Super Super CLEAN 2013 Chevy Silverado 1500 4x4 with low low miles!!! Beautiful Victory Red with black interior. 6" Suspension lift with shocks sitting on 35" All terrain tires wrapped around chrome 20" XD wheels. 5.3 Vortec V8 w/VVT and active fuel management, 6 spd Automatic transmission, HD cooling package, Locking rear differential, Automatic dual zone climate control, Chrome package, Skid plate package, HD Trailering package, and a 40/20/40 6 way power seats that have been covered since new! Appealing custom red accents on interior dash and door panels as well as rear differential cover. All badging has been stripped from the exterior for a clean straight look! 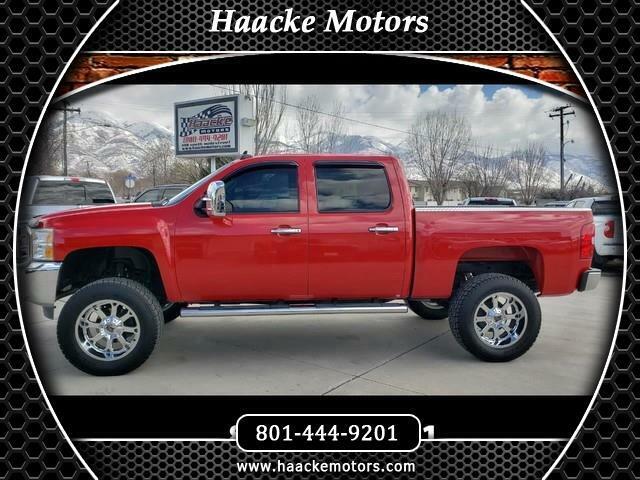 See us on our website at www.haackemotors.com AutoTrader.com Cars.com Carsforsale.com KSL.comCargurus.com CarFax Online Listingallcars.com Facebook and Instagram!